Growing up changes your perspective on the height of winter. 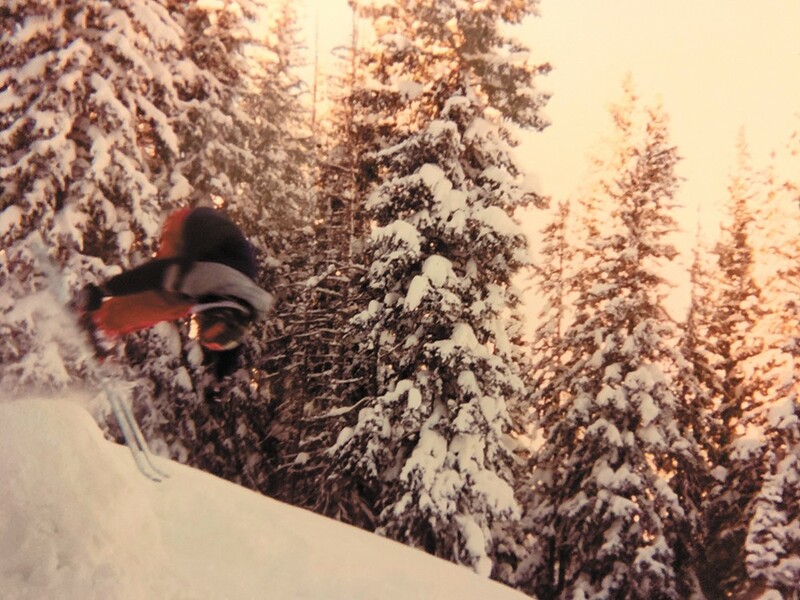 In a flimsy plastic photo book with a Freeskier magazine sticker on the front, there's a picture of what might have been the apex of my skiing career. With my ski tips still at the edge of the jump and my head tucked into my knees like a roly-poly, it's not exactly a feat of action-sports photography. 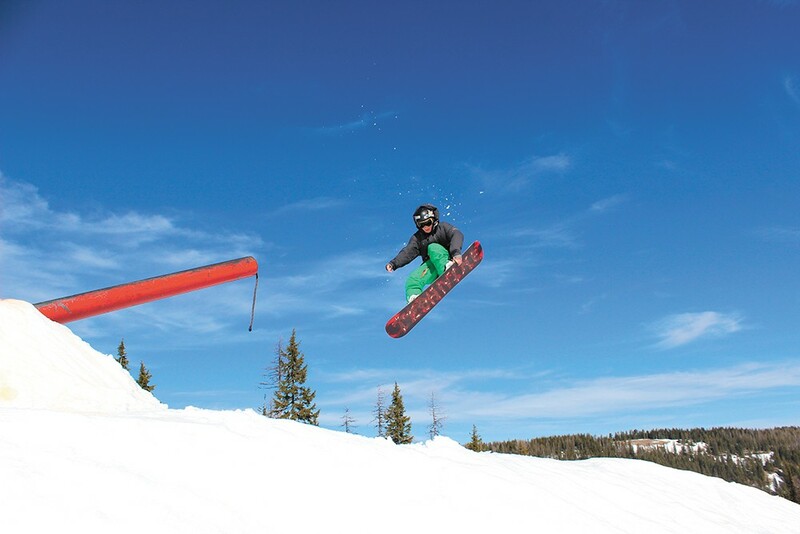 But it was my first front flip on skis, and I remember it as clear as the bluebird sky on that powder day. I was 12 years old when that photo was taken and flying high on the slopes and in my own mind. I was the only one of my friends who could land flips at my hometown's version of Mt. Spokane. At the top of my game and only getting better, I was sure it wouldn't be long before I was doing 1080s and standing atop an X Games podium. But those fantasies were fleeting. A year later I got to cut down to size at a summer ski camp on Mt. Hood. While other kids spun like tops and flipped at will, I cowered at the sight of the big jumps and had to face my first ski-related reckoning: I clearly wasn't headed for the big time. Despite the reality check, I continued to improve and push my limits. During my teens and early 20s I flipped step-ups, slid tricky handrails and spun big gaps in search of that fine line between fear and success. Riding that line helped get me through teenage angst and high school drama. It also offered a temporary refuge from the nonstop action of the modern world and the swirling of an unquiet mind. Like so many of the social media generation, I'm prone to scrolling Twitter and Facebook incessantly. Which, I think, is part of the reason I've sought out these moments of risk that demand full attention and block out the chatter. That, and the fact that sticking a perfect landing trumps any chemically induced high. But as I get older, a little smarter and a lot sorer, it's time to find peace of mind before I end up in pieces. Which, at least for me, is easier said than done. An overcast day a few years ago at Schweitzer sticks out as another moment of on-mountain reckoning. From the chairlift, the jump looked just right. A couple kids cleared it with ease as they gracefully pirouetted from the lip to the landing. So I headed down to the terrain park, watched someone else go ahead to gauge the speed and called my drop. I don't know if it was a bad wax job or one-too-many speed checks, but I landed short of the target, sending a jolt of pain through my knees. But the pain in my body was overshadowed by the internal struggle of coming to grips with the end of an era. As I got on the chairlift with my wife, I already felt twinges of loss. Knowing that my days as a park rat were behind me. The author's first front flip on skis. Over the last few years this feeling of self-pity and self-loathing has dulled. Now, at age 29, with a fully formed cerebral cortex and a few surgically repaired extremities, I'm looking past the park to find new challenges on the mountain. As I back down from the acute risk of the terrain park, I'm ready to venture into a new part of the skiing world: backcountry skiing. In the backcountry, risks remain and one wrong move can leave you buried under tons of snow. Uncontrolled conditions, hard to get help in places, and the looming threat of avalanches are constant. Out past the lift lines and ski patrol boundaries, the head games are more suited to maturity than rails and kickers. In the backcountry, safety is less likely to be determined by a split second decision on the right speed to hit a jump or how hard to set a rotation. Beyond resort boundaries it's more about preparation, having the right equipment and knowing how to use it.